• Размер / Size: 120.12 Мб. FPS во вселенной МегаМена. Авторам удалось перенести знакомых персонажей и атмосферу в шутер от первого лица. 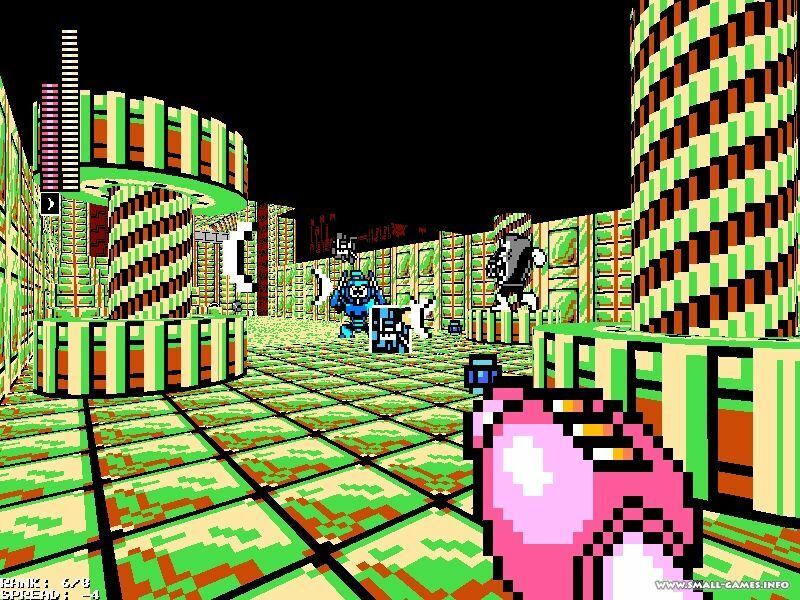 Встречайте, Megaman 8-bit Deathmatch! Версия игры ОБНОВЛЕНА с 5a до 5c. Список изменений внутри. В игре присутствует сингл кампания и мультиплеер, конечно же. +The construction work on Light Labs is finally complete. Explore and check out the new basement! +Dr. Light's missing Robot Masters will appear once you have defeated them in the campaign! 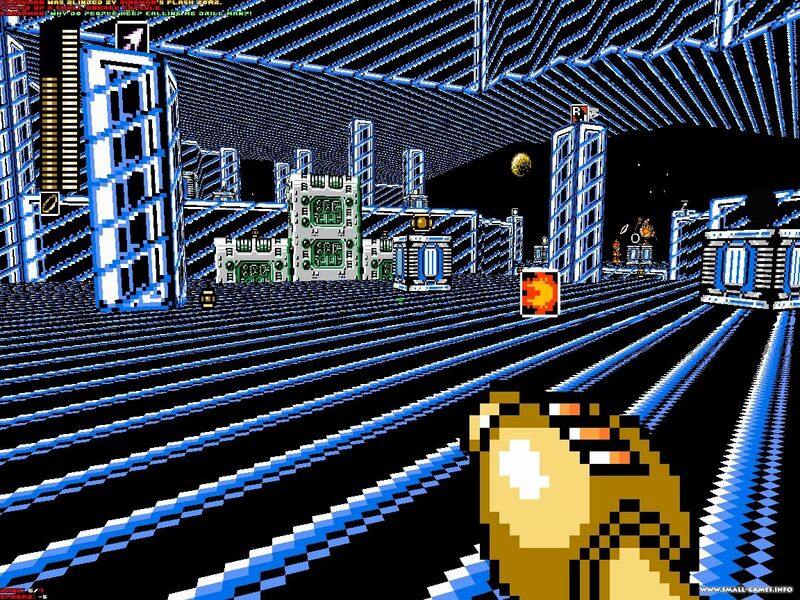 +A new machine has been added in the basement which will allow you to re-fight hidden bosses you have defeated (but is locked until a certain Robot Master has visited the lab). 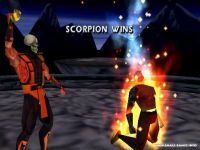 Note that you will have to defeat them again in v5 to unlock them here. +Weapon Training and Stage select can now be exited by pressing jump. +Pressing forward and backward in stage select will go through selections quicker. +Extra Command Line Parameters are now saved upon exit and loaded automatically. +New skins based on all the Mega Man 9 robot masters! +New skin for Mega Man 7-styled Sniper Joe. +New skin for Time Man. +MegaMan now has his own skin. +Alien now plays sounds when landing. +SearchMan shoulders now colored cyan instead of blue. +King has more readable firing frames. +Weapon Energy pickups no longer change values with sv_doubleammo. +Weapon Energy pickups now restore 30% and 72% of maximum ammo values rather than hard-set values. +A longer sound effect plays when you pick up a large capsule. +Now spawns underneath you when you're in the air. +All weapons now inherit from a single source: BaseMM8BDMWep. +Laser and Arrow Buster mid charge shot now use the damagetype "ChargeBuster". +Charge HUD animations lowered and made semi-transparent. +Uncharged shot no longer faces you when returning. +Uncharged shot colors changed slightly. +Charge Sound changed to match Mega Man 9's. +Can no longer hold shield out when charging a shot. +Full Charge animation changed slightly. +Colors changed to better reflect Rush's NES palettes. +Fist can now only home in on people in the user's vision. +Shield damage now originates from the center of the player's body. +Shield damage now full radius. +You now keep your previous momentum when turning. +Can no longer be autoaimed. +Can no longer one-hit kill. +If the shield is hit, release a flurry of leaves in the target direction. * damage may still be sustained from the hit, depending on the source. +Fixed a bug where shots would bounce off shootable actors. +Shots can now only home in on people in the user's vision. +Bits pass through players for the first few tics. +Now fully blocks the damage from one hit. +Has a cooldown of two seconds after breaking. * Presses of any kind not included. +Fixed a bug where bits would bounce off shootable actors. +Code was made easier to modify. +Damage radius now starts at your center rather than at your feet. +When used, now renders you invisible for a short period. +Do not use near birds. +While active, you take 30% increase damage from all sources. +Visual effect moved from the weapon to the projectile. +Fixed a bug where uncharged shots would get stuck on Mirror Buster. +No longer spawns two graphic effects when fired. +New sounds [stolen from Classes]. +Fixed a bug in Zandronum 3.0 where you would not hang in the air when using it. +You didn't need that pistol ammo anyway. +No longer reorients itself to match your aim automatically. +Now reorients when you fire while Copy Vision is selected. +Remove the fade effects on the dash. +Changed the actor name "TenguMelee" to "TenguDash" to be more precise. +Obituary properly set in LANGUAGE. +Fixed a bug where climbing weapons [ex. Search Snake] would repeatedly trigger the counter. +Actor names changed for clarity. * Mid shot: 11 -> 12 damage. * Strong shot: 25 -> 40 damage. +Large shot damage increased: 40 -> 45. +Skull Barrier now easier to acquire. * does not apply to LMS game modes. 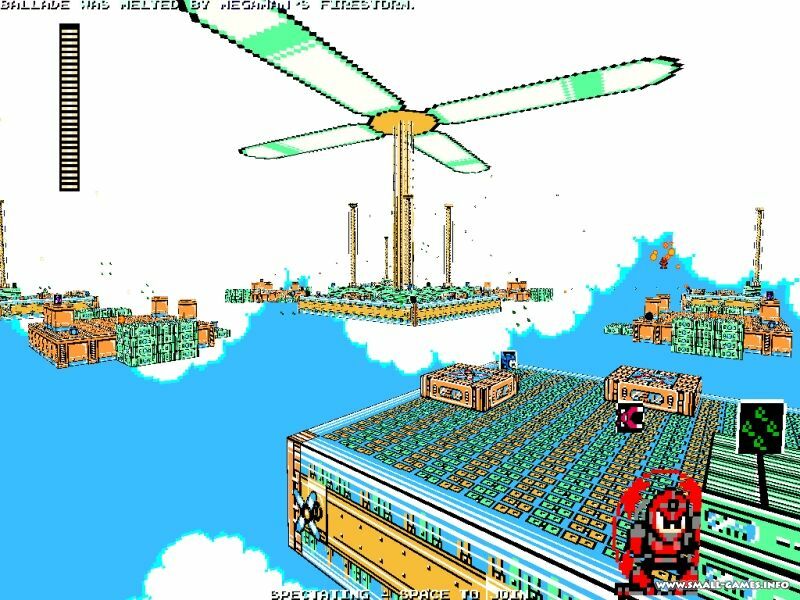 +New map based on Mega Man 7's intro stage! +Pit teleporters now both face the same direction. +All previously existing damaging stage hazards now have damage types. +All music given more accurate loops. Added TeleportFlag item, used by script 973. Can no longer get stuck in a respawning countbomb via Proto Shield / Mirror Buster. Updated Evil Robot cut scene to use new MM8DW2. Fixed various typos in the Wily Tower campaign sequence. Fixed a bug where Genesis Unit would stick to a single attack constantly. This would lead to a situation where the boss was unbeatable. Added a console icon for the scoreboard. Added a more correct ENDOOM screen. Fixed SBARINFO error where Atomic Fire’s charge bar would appear if WeaponCharge was in the player’s inventory without Atomic Fire being active. Fixed SBARINFO error where Homing Sniper’s charge animation played before it reached a full charge. Time Slow no longer shows a pickup message of Time Stopper. Time Slow now has a particle effect on slowed players. Fixed a bug where Screw Crusher could pick up ammo when full. Updated icons for Crystal Eye, Napalm Bomb, Star Crash, and Charge Kick. Fixed a bug where Ice Wall would jump to the wrong state when weakened in the air. Eddie’s RandomWeapon item updated to work on ZDR 2.0. Beat Call icon updated to use NES colors rather than Mega Man 10’s. MM&B Bass skin by Geno replaces SGC Bass skin. EvenLighting applied to all maps MAPINFO to fix a legacy ZDR 2.0 bug with r_fakeconstrast. Map files renamed and reordered in PK3 to work with ZDR 2.0’s new ordering scheme in offline skirmish. 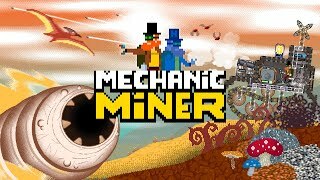 MM2DW1 - Patched up hole in the fence , Fixed Boss activation script. MM2DW2 - Updated layout / weapon placement. MM2DW3 - Changed music to empty track (2DW4MUS), droplets now use FORCEYBILLBOARD. MM3MAG - Magflies altered to make it more difficult to become stuck in front of them. MM5CRY - Fixed a bug where you could get into the background online. MMBBUR - Geography / Weapon layout updated. Big Telly now has a warning sound . MMBMAG - Outer pits now work with Beat Call. MMCTF05 - Unblocked a line in light base. MM3DW1, MM4DC1, MM5DAR, MM6MRX, and MM7DW1 - Fixed Boss activation script. MM3SHA, MM6BLI, MM7SHA and MM2DW1 - Two way teleports now use ACS [See script 973 below]. Script 253 - Improved Item2 / Ice Wall sticky script for ZDR 2.0. This script is required for two-way teleports so they do not crash in Zandronum 2.0. Added Co-operative to the game mode drop down list (for custom mods). - Sakugarne - sv_fast weapons 1/2 crashing issue fixed. - Centaur Flash has correct colors. All maps in general were edited in some way shape or form, even if it's so minor that it wasn't listed here. 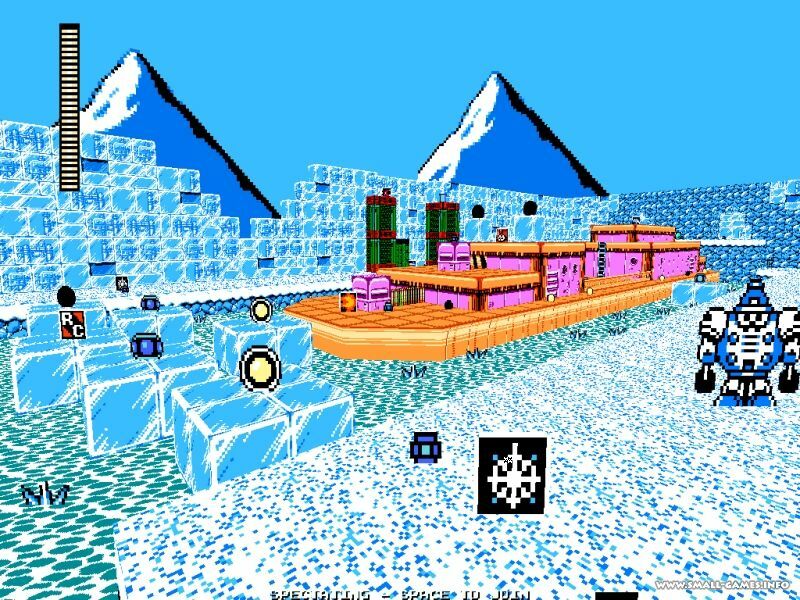 MM2BUB/MM4DIV - Now uses the proper water map low gravity item. 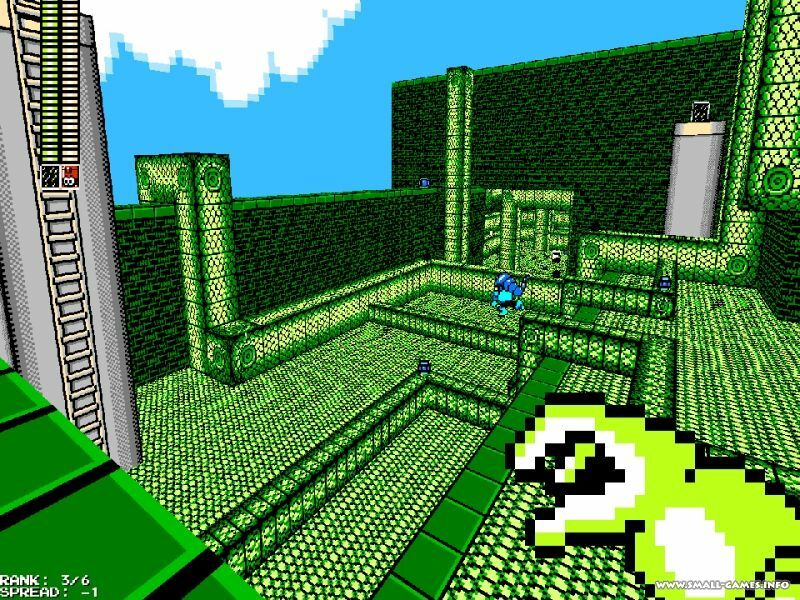 MM2DW1 - Added more small health to the map. MM6YAM - Fixed a missed impassible wall. MM7TUR - Spot of Shame gone. Again. MM8CLO - Fixed tile exploits. 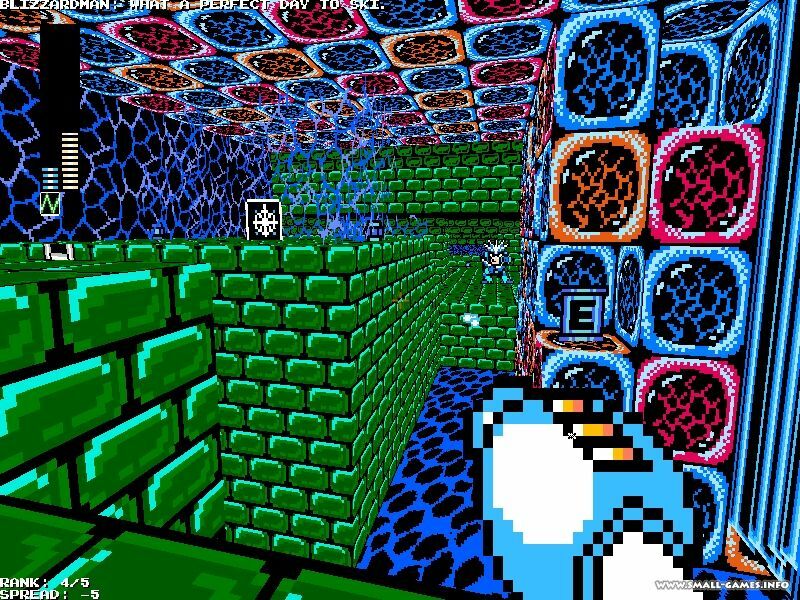 MMCTF09 - Death pit fixed, various locations blocked. 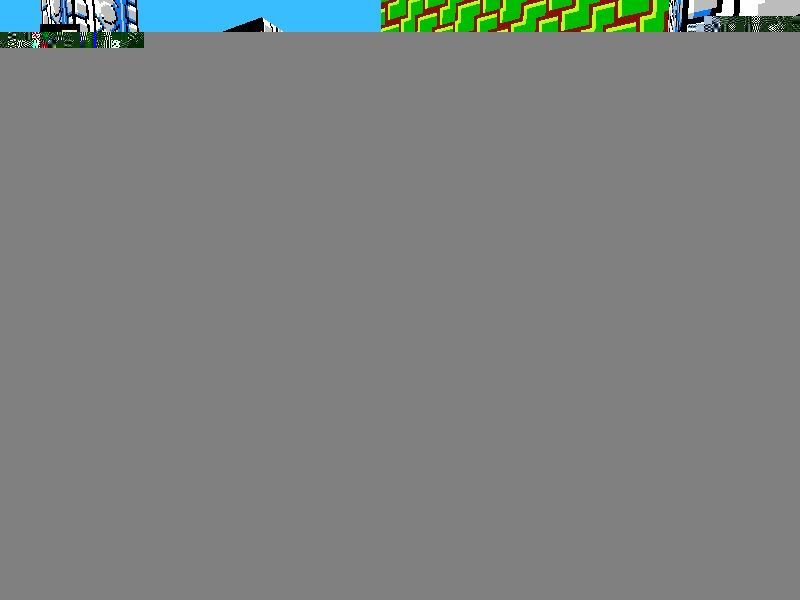 - All wily stage and Dr. Cossack music codes changed #DW#MUS to match up with MM8's new standard. - Fixed a bug in light labs which caused certain weapons to freeze the player. - Duo Boss chat color fixed, then broken, then fixed, broken, ....it's possibly fixed now? - Treble no longer breaks when the user spectates after Treble lands. - MM8BDM.pk3's sprite section entirely reorganized to make finding sprites easier. 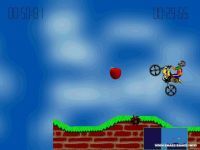 - Party Ball assist weapons drop are now weighted (Tango, Treble and Beat Support). - Bots can now use Time Stopper, Skull Barrier and Plant Barrier properly. - MM8BDM.pk3 botchats organized by game. 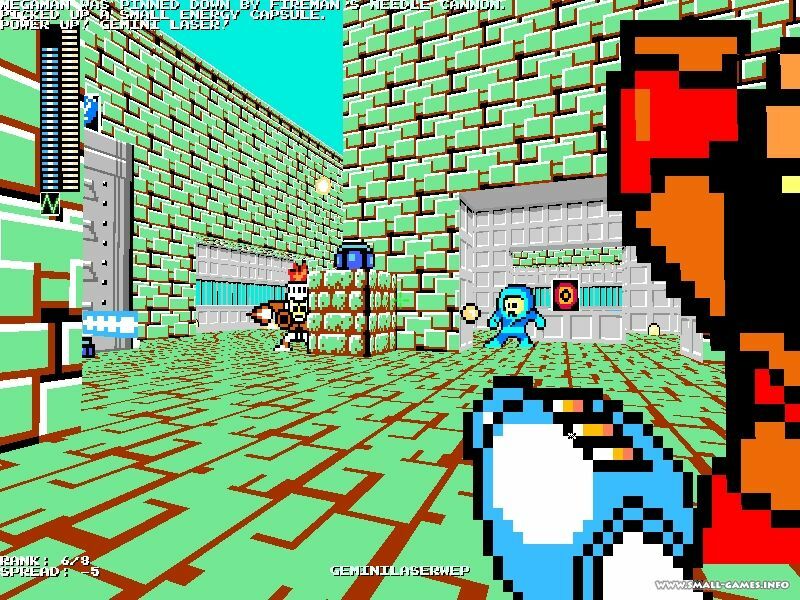 Mega Man 8-bit Deathmatch is a new multiplayer game that aims to take Mega Man’s 8-bit style gameplay and turn it into an online multiplayer first person shooter. 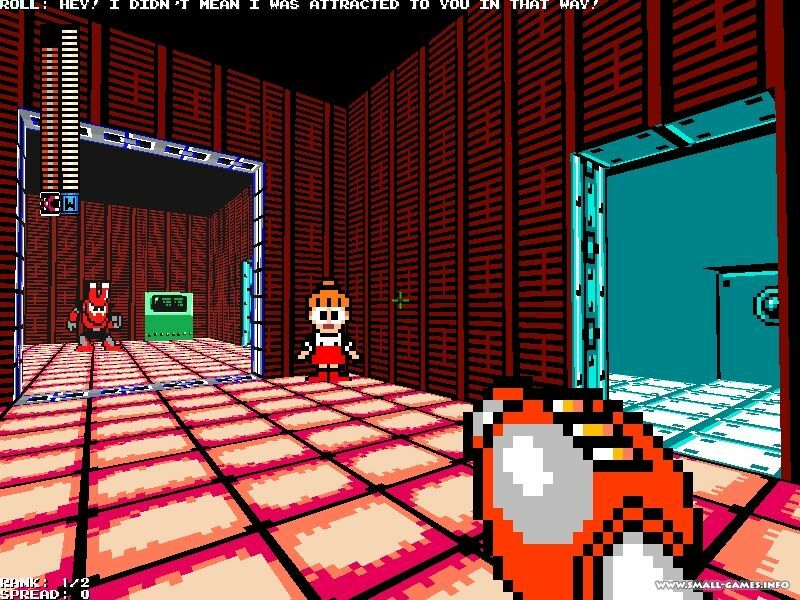 Everything you know and love from the classic series will appear in lovely 3d with 8-bit textures and sprites. 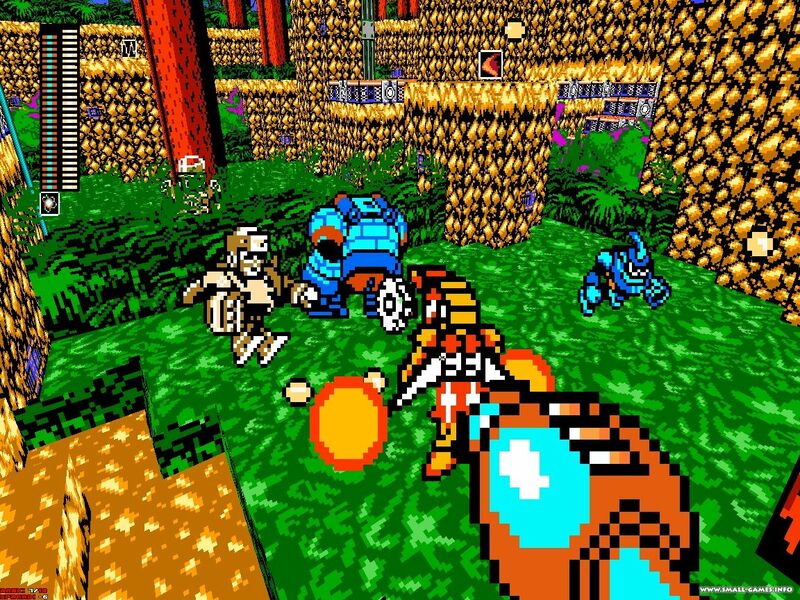 You will be able to pick from any of your favourite Robot Masters from Mega Man 1 through 6, as well as find and use their weapons scattered around levels. 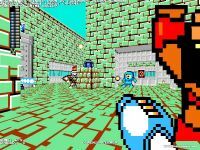 With it’s intense battles, unique style, various game modes and huge amount of weapons and levels, MM8BDM is sure to please Mega Man and old school FPS fans alike. This is no fancy art project! Get your Mega Busters ready, this Skulltag powered mod is coming 2010! 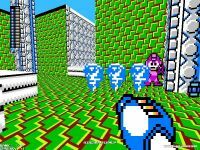 Если ты нашел новую версию игры Mega Man 8-bit Deathmatch v5c, либо русификатор к ней, патч, левелпак или мод - сообщи об этом редактору новости, он добавит сюда доп. файл. 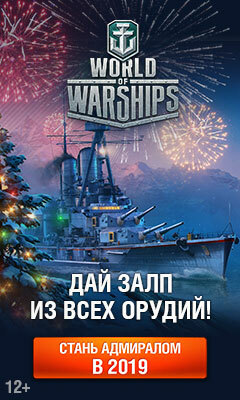 Хорошая игра для фана с друзьями на 20-30 минут. Ребята помогите не могу скачать никак прерывается говорить нельзя скачать когда доходит до 20мб оно прерывается! Знате особенности этой игры это боссы не знаешь что он будет делать проходиш базы убиваеш боса и получаеш способности вот особенность этой игры я её обожаю! Всё скачалось зубодкрушительная игра супер я до 8 части босов дошёл правда было трудно вилий пройти на 6 части в конеце Подсказываю Берёте перчатки Хард Мэна и кидайте в лою роботу после того как он встанет на коленииспользуете собаку и берёте топ мэна вертелку и крутитесь и босс убит! Я почти прошол игру не могу троицу мастеров пройти очень сложные! ОГРОМНОЕ СПАСИБО ЗА ИГРУ Я ЕЁ ПРОШОЛ И ОНА МНЕ ОЧЕНЬ ПОНРАВИЛАСЬ СПАСИБО ЛОВИТЕ ЛАЙК! Игра очень хороша - для мультиплеерных битв. В одиночной кампании скучно - карт много, но суть одна (хотя боты очень даже не тупы) - убивать как можно больше. Играйте в мультиплеер - там весело, в одиночке скучновато. Плюсы: огромное количество карт и персонажей, мультиплеер, битвы с боссами в одиночной кампании. Минусы: довольно скучная одиночная кампания(не считая битв с боссами), не очень разнообразный геймплей. Хорошая игра , графа оригинально сделана. Я как-то смотрел видео IndieStatik'a, и там говорилось об этой игре. Что ж, надо опробовать! Моя любимая...так ещё и в 3D вообще супер! 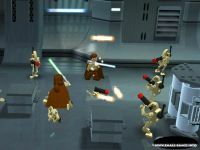 Играюсь в неё на Zandronum'е + Doomseeker, мультиплеер отличнейший, а режимы Boss battle и Classic heroes превращают игру в "что-то с чем-то"
Подскажите как поиграть по сети? Урааа, вот это штука, я, как Megaman'як, скачаю!! А тут если по сети играть, то серверов много? Игра сделана на движке Doom а не Quake. Хотел выложить, тормознул походу, уже опередили >_<.